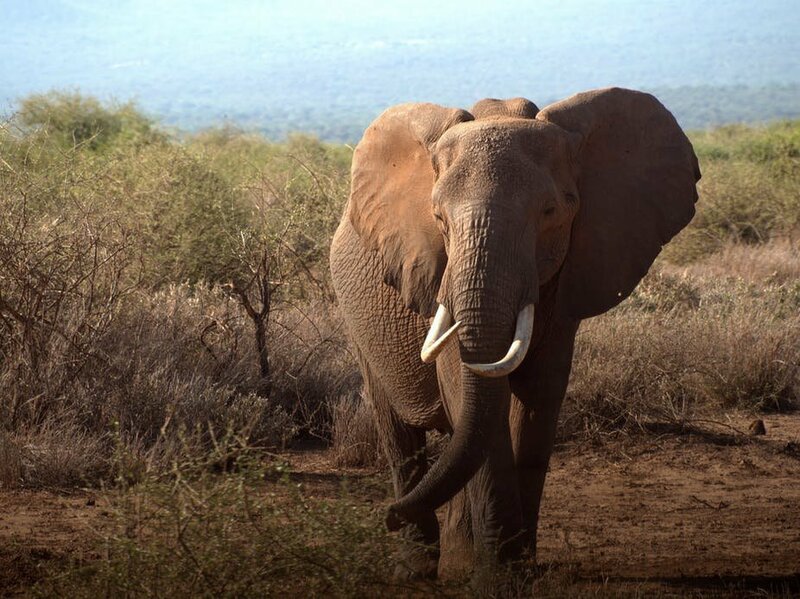 The problem has come as vast parts of Kenya that are home to elephants have been subject to intensive agricultural development in the past few decades. The Maasai people who tend to the land are switching from their traditional nomadic lifestyle to seek a more permanent livelihood. But these lands have also been used by elephants and other wildlife for many generations, providing them with food, water and space for migration. Tensions are running high, but a controversial solution is being put in place: electrified fencing. Farmer 1: You see this maize? It is for my children, not for elephants … we don’t want to see elephants on our farms. Millar: And what do you think is the solution? Farmer 1: The solution is to kill them! Farmer 2: A fence. Electrification. Millar: I agree, but … it is expensive. We will ask countries in Europe for help … everybody will have to contribute something. You will have to protect the fence once it is erected. Farmer 1: We’ll take care of it. If you are lying about the fence, the elephants will be in danger. The elephants will die. When the documentary was filmed, an electrified fence was believed to be the only solution to the conflict. 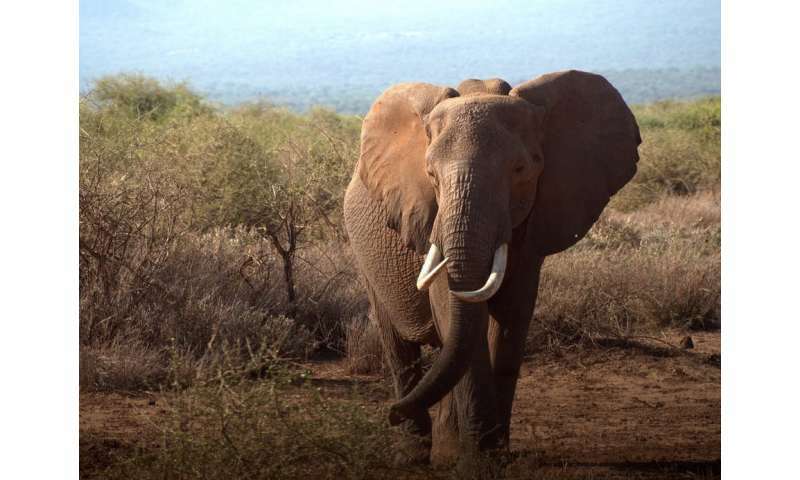 So, with support from international investors, work in the borderlands between Kenya and Tanzania was started in 2016 and the foundation has reported that the 50km of fence built to date has already reduced elephant crop raids by more than 90%. Unfortunately, this is not the only human-elephant conflict hotspot in the country. 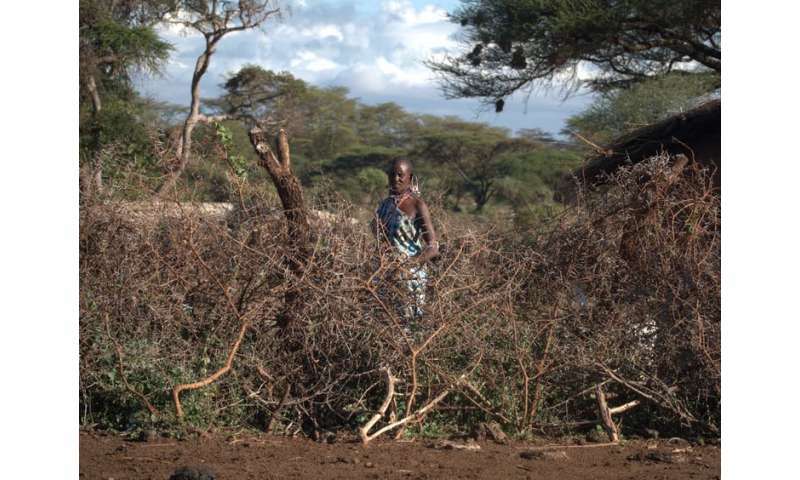 Kenya is experiencing rapid economic and industrial growth, and small-scale agriculture developments are spreading across Maasai lands, causing more and more problems. Fencing is one of the most commonly used conservation tools in the world. And Big Life’s electrified fence is a great example of how fast and effective it can be. But fencing can have long-term consequences for animals – it can disturb wildlife migration routes, disrupt gene transfer through mating and alter population dynamics. The possible costs to animals are unknown. South Africa is the only African country that legally requires an environmental impact assessment to be done prior to building fences. Generally speaking, there is no straightforward international policy or legal guidelines for fence planning. In most countries, fences are built in a random and uncontrolled way. But fencing can be an effective tool for conservation – in Australia, fencing is commonly used to save native mammals from introduced carnivores, while in Namibia fencing protects cattle from cheetahs and lions. 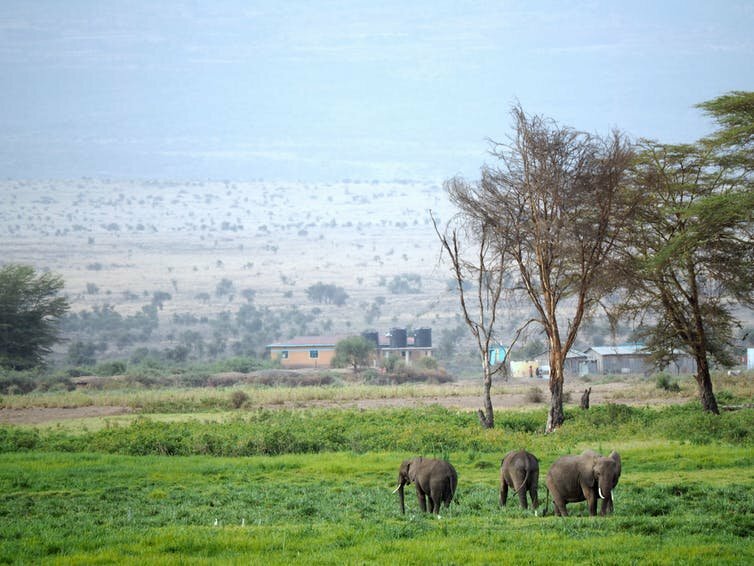 In our recently published paper we looked at how an electrified fence being built around crop fields in southern Kenya is affecting major elephant migration pathways. We used GPS collars on 12 elephants from the area where the fence was to be built, and tracked their movement and behaviour. All the elephants were from different families and were collared in various locations. After two years of data collection we used the information to map where and how the elephants spent their time in the study area. We reconstructed their movement paths and built a connectivity model, highlighting the most important migration routes between large national parks. After validating our model, we included the fence plan and recalculated, to estimate if the fence would change the elephants’ free movement between parks. The results showed that local managers were right: fencing did not disturb migration corridors nor diminish connectivity between the national parks. But more detailed examination gave us some food for thought. Areas with limited amounts of the resources that elephants need (wetlands, floodplains and conservancies) are predicted to be more intensively used after fencing because the elephants will no longer have access to their usual grounds – and this may lead to overgrazing and habitat destruction. In addition, fences will not stop elephants from moving – so the conflict will basically be shifted to unfenced areas. These results raise a reasonable question: how much more land will have to be fenced to resolve human-wildlife conflicts? Besides high costs and difficulties in maintenance, the more land is fenced the less habitat remains for elephants. 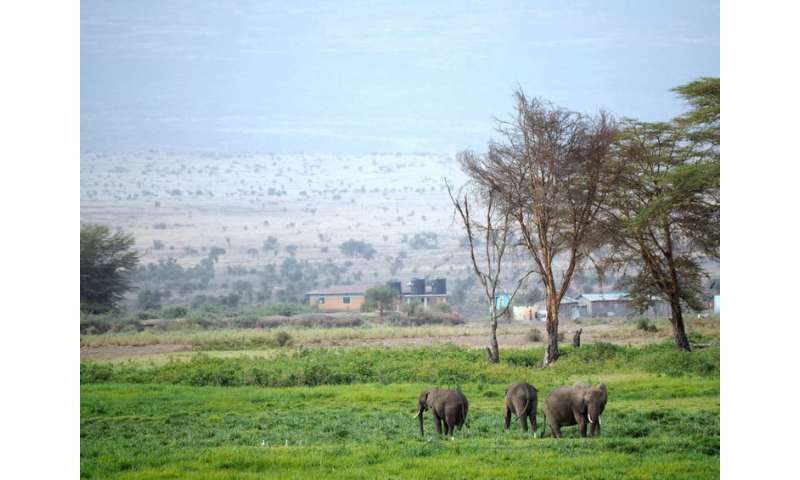 Long-term aerial monitoring in the Amboseli Ecosystem (an 5,700km² conservation area near the Tanzania-Kenya border) confirms that habitat loss to agriculture will become a bigger threat to elephants than illegal poaching in the near future. There is no simple solution here. The benefits of electrified fencing are undeniable, but lack of understanding of the long-term consequences for wildlife is worrying. We recommend that integrated impact assessments – as we did during our study – are made prior to fencing become international policy. 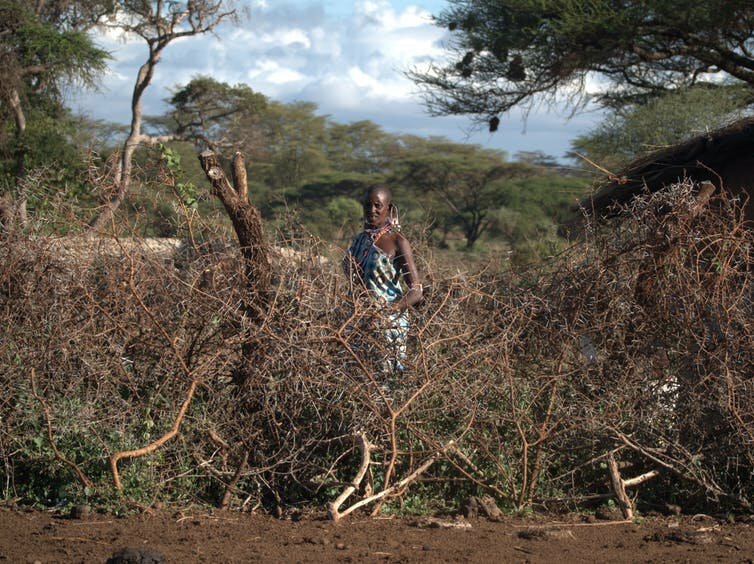 Another approach could be using fences only as a temporary tool for mitigating critical conflicts and considering alternative management approaches – such as fencing which contains beehives, to deter elephants but not restrict their movement – to solve the problem in the long run.